With the flood of information shared on social networks and new platforms developing almost daily, it's easy for clients to get overwhelmed by the social shuffle. After all, not every social platform suits every brand and as the real estate mantra goes ‘location, location, location.' Therefore where you mingle is as valuable as what you mention. At Conquest we develop an understanding of who your social target demographic is, where they are and establish plans to connect with your consumers where they pin, post, tweet or follow. At Conquest we guide our clients through the social landscape to identify the right social locations for engaging with potential brand consumers. Our team of creative writers work closely with your internal staff on developing original content that speaks directly to the interests of the target audience. 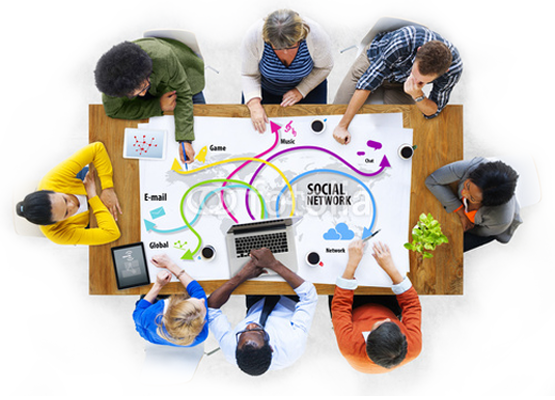 At Conquest we will help you brand your social outposts properly so that it is in alignment with your brand position. 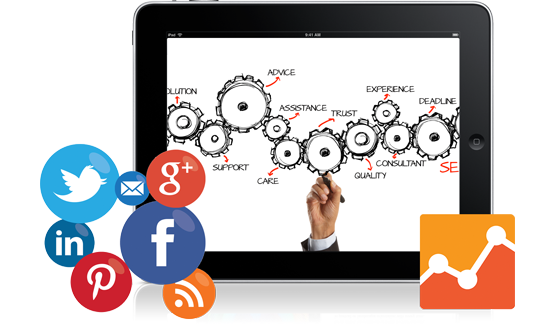 Without a blueprint, social media can be like a meeting without an agenda… lots of topics with little direction. We develop a monthly blueprint for our clients that helps maintain the editorial strategy and influence the right conversations. From boosted posts and promoted tweets to display and sponsored ad content, Conquest will work with your social ad budget to help your brand effectively achieve their reach and CTR potential. The best way to understanding the success of your social footprint is by reviewing the insights on each platform you are engaging. Conquest will help track and report your progress, growth and ROI.